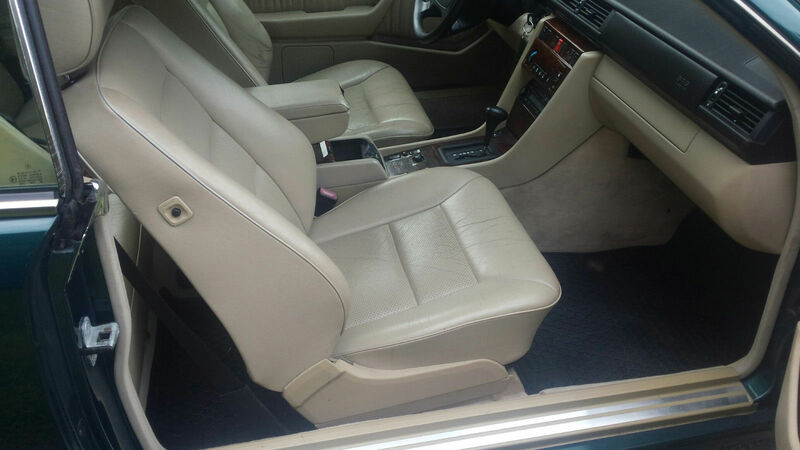 This car is fully equipped with ASR traction control, headlight wash wipe and heated seats. Car has fresh paint that is nearly flawless, has a couple of small marks on the front and rear bumpers. The stock wheels are very nice with matching continental tires. Plus a bunch of other smaller items. 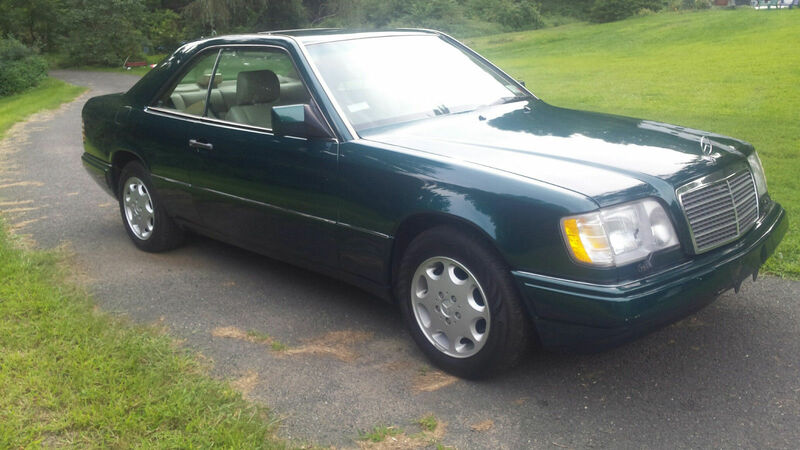 I was going to keep this car, but I have too many cars (including another 5 W124 coupe models), she has to go. 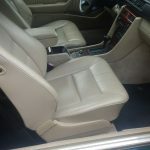 There is some dry cracking of the leather on the drivers seat. I have an excellent replacement seat skin but it doesn’t have the heat option. I will include it and or install the replacement. 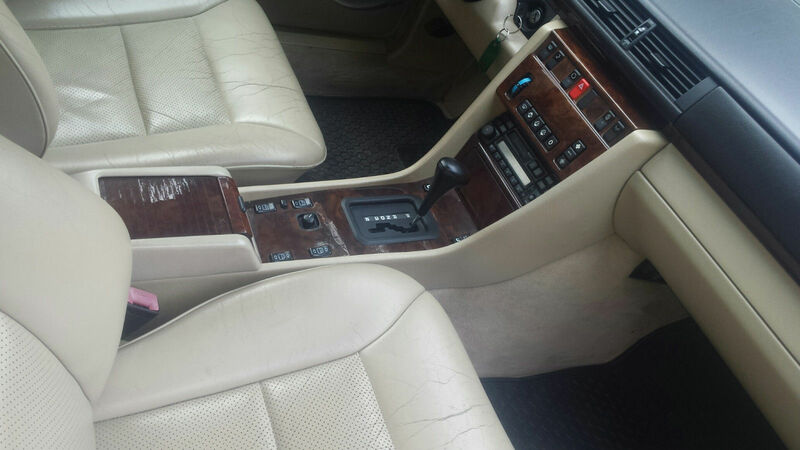 The console wood is very nice, some very minor cracks around the shifter. Has Mercedes black floor mats. 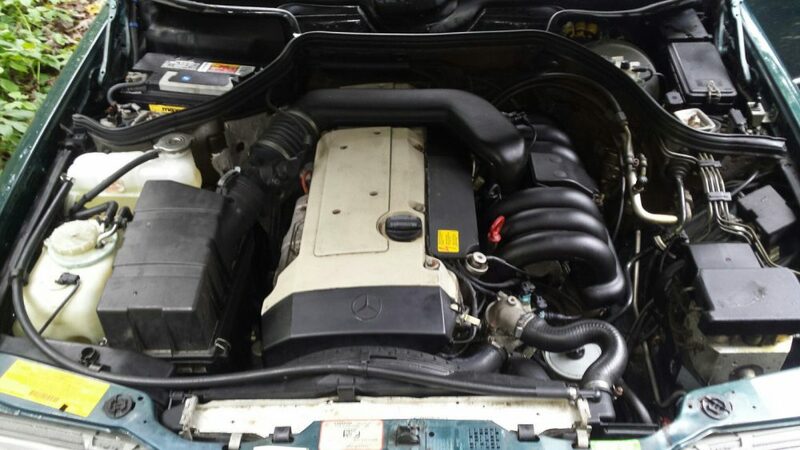 As great as this coupe is, its a used car and its for sale, where it is, as it is. 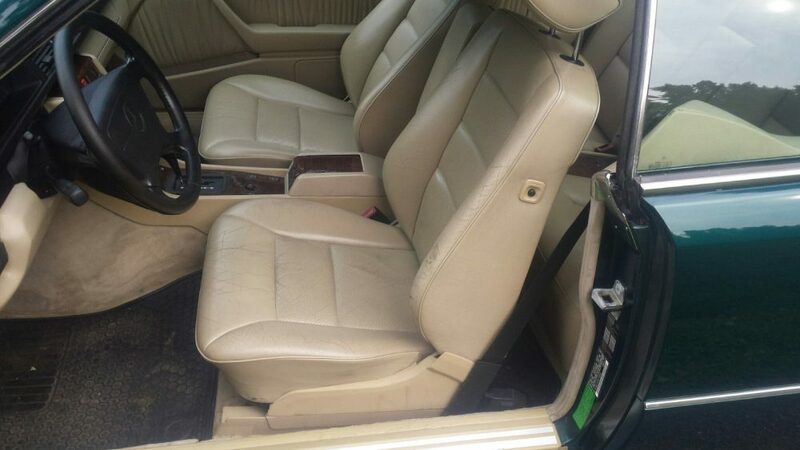 I’m really high on this car based on the condition that is it is in and the price the seller is asking. This isn’t a perfect C124 and doesn’t claim to be and I think that is the beauty of this one. 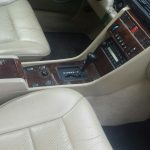 It has some bumps and bruises, the seat has some wear and the miles are a tad bit high at 185,000, but all the maintenance and repairs make up for all that. It is pretty clear the seller knows his way around these cars judging by him owning a litter of them, so I feel pretty good about buying this one versus one with no history. 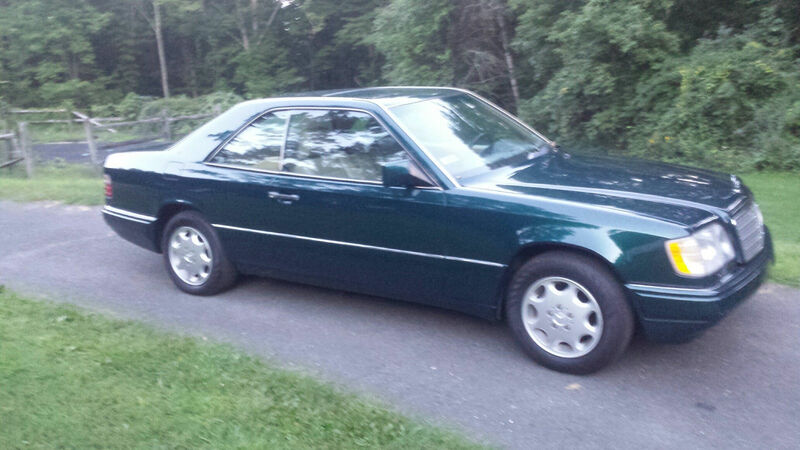 I love the Tourmaline Green paint on the W124 and the 8-hole wheels look very clean as well. 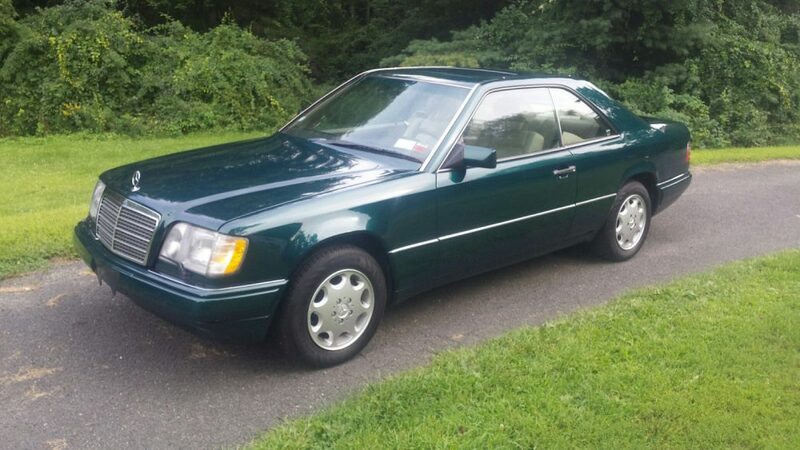 This one has ”perfect daily driver” written all over because of its capability and even more so because of the price. 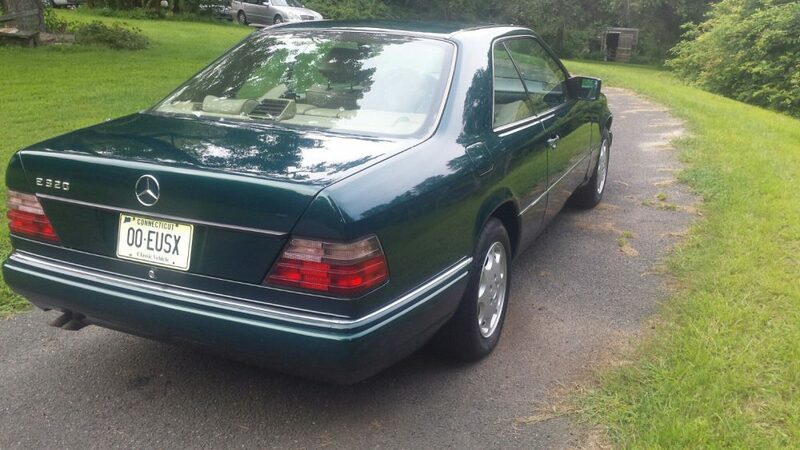 I think the asking price of $5,750 for this car is more than fair. The prices of C124 cars have been heating up of late with really clean examples topping the five-figure mark and it doesn’t surprise me at all. 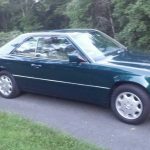 The C124, especially the 1994 and 1995 cars, is just the right size if you want a more modern coupe but don’t love the C140 and all the potential issues that can arise from it. I have no doubt that this car has another 185,000 miles left it in and probably more as long as you stay diligent with the maintenance. Snag these cars while you can, they aren’t getting any cheaper. 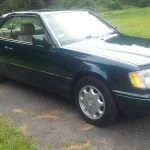 Tagged 1994, C124, Coupe, E class, E320, inline-6, M104, Mercedes Benz, Tourmaline Green, w124.